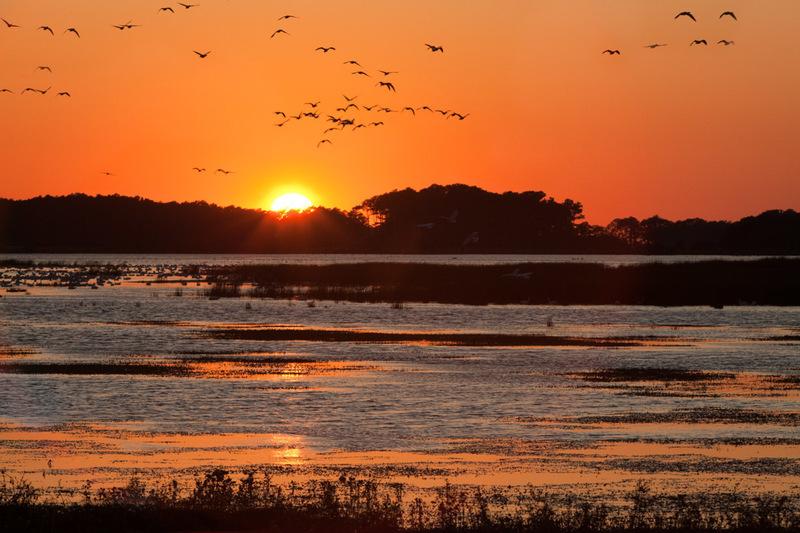 Sunset Over Chincoteague IV | Irene Abdou Photography, LLC - Travel. Lifestyle. Documentary. NGOs, Development & Public Health. Snow geese fly the skies over the Chincoteague National Wildlife Refuge on Assateague Island, Virginia.